Moving Math focuses on "moving" the teaching and learning of mathematics by shifting instruction and assessment practices. 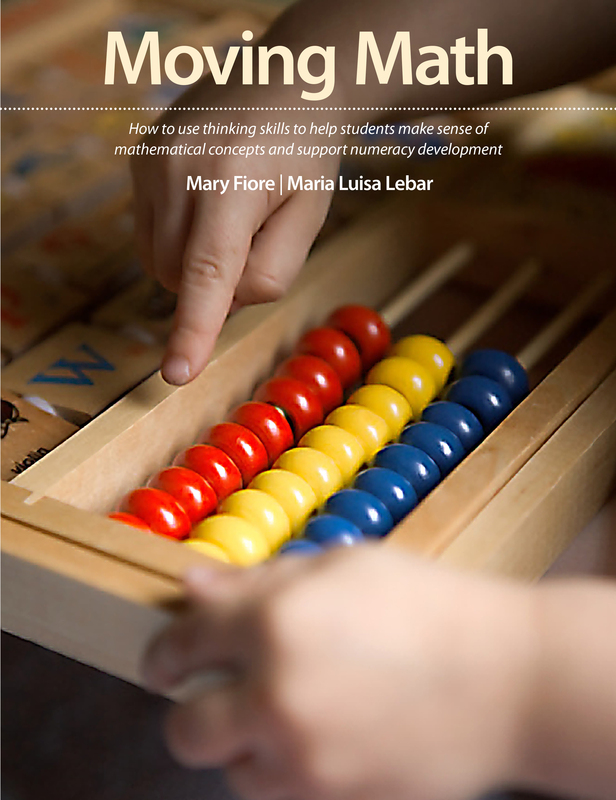 The authors describe how using various thinking skills like inferring, analyzing, and evaluating helps students make sense of mathematical concepts to support numeracy. The book offers possible student solutions that demonstrate how the thinking skills support the intended mathematical learning. Mary Fiore is responsible for implementing effective mathematics teaching practices at all grade levels.